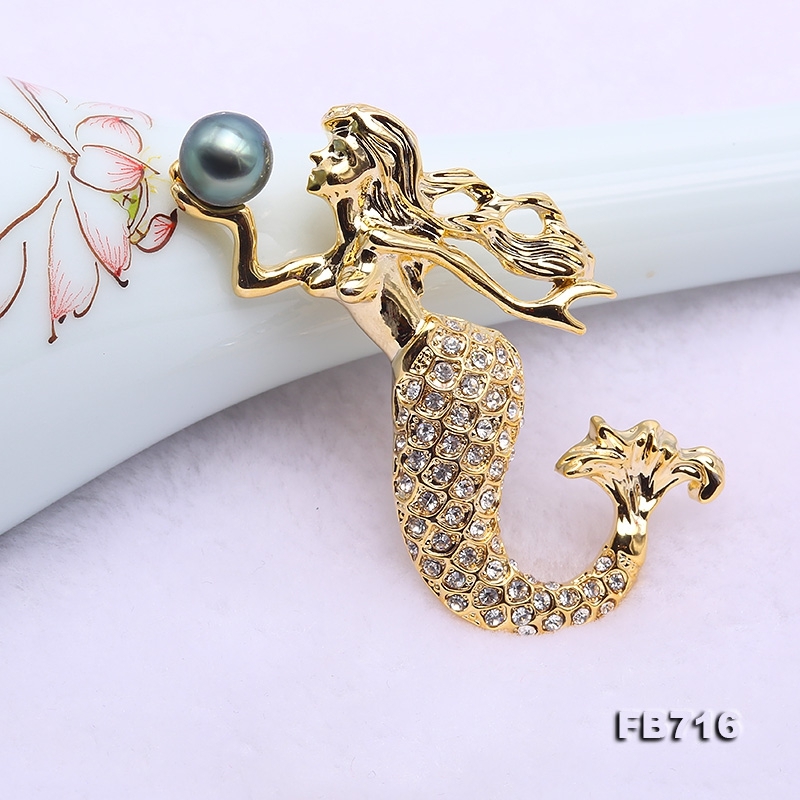 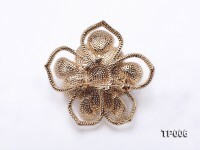 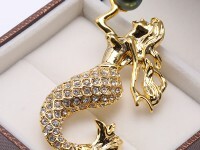 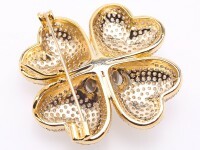 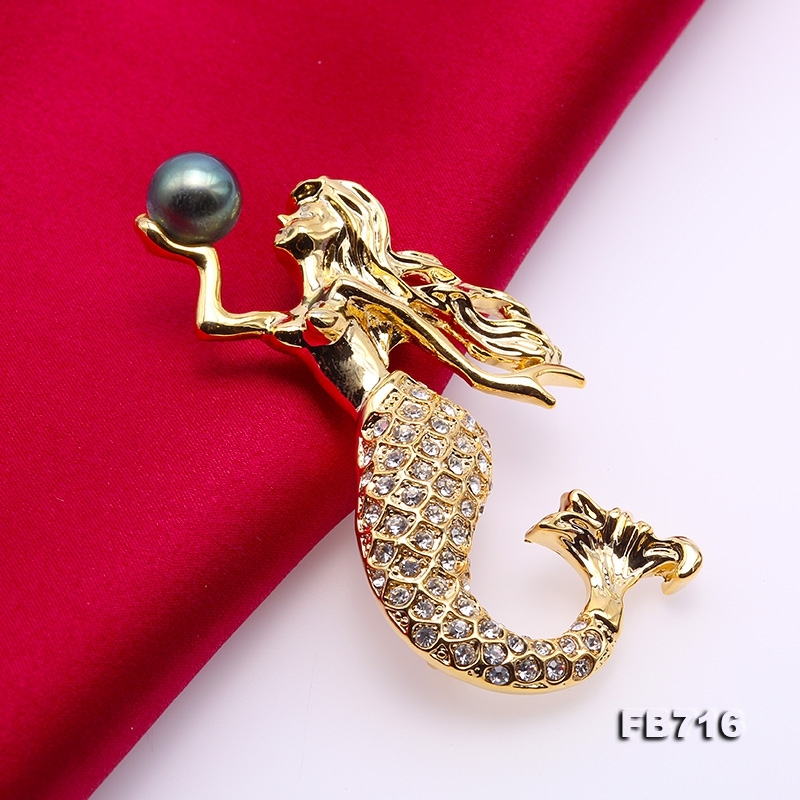 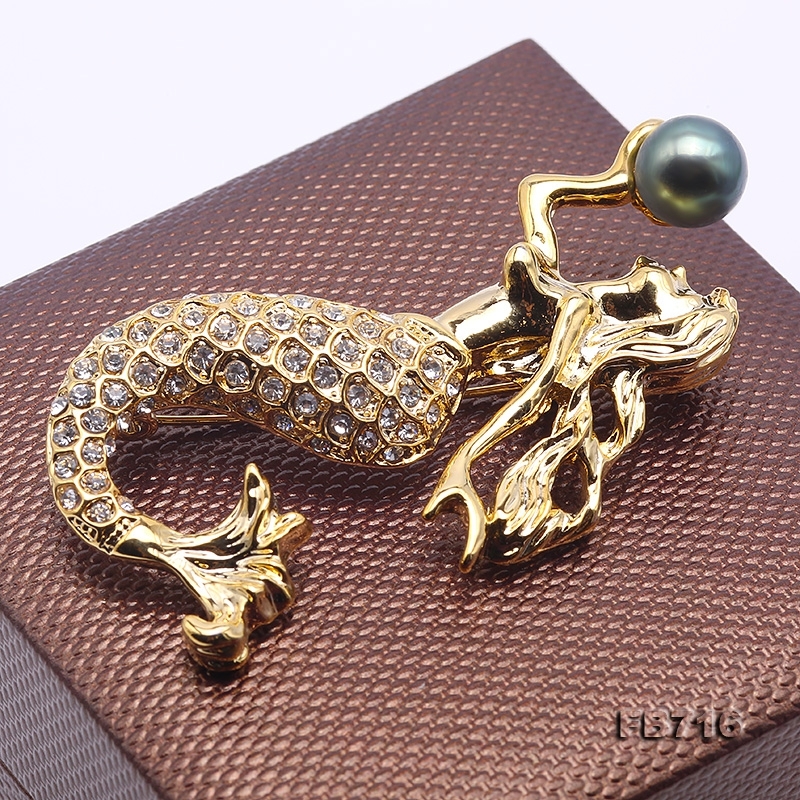 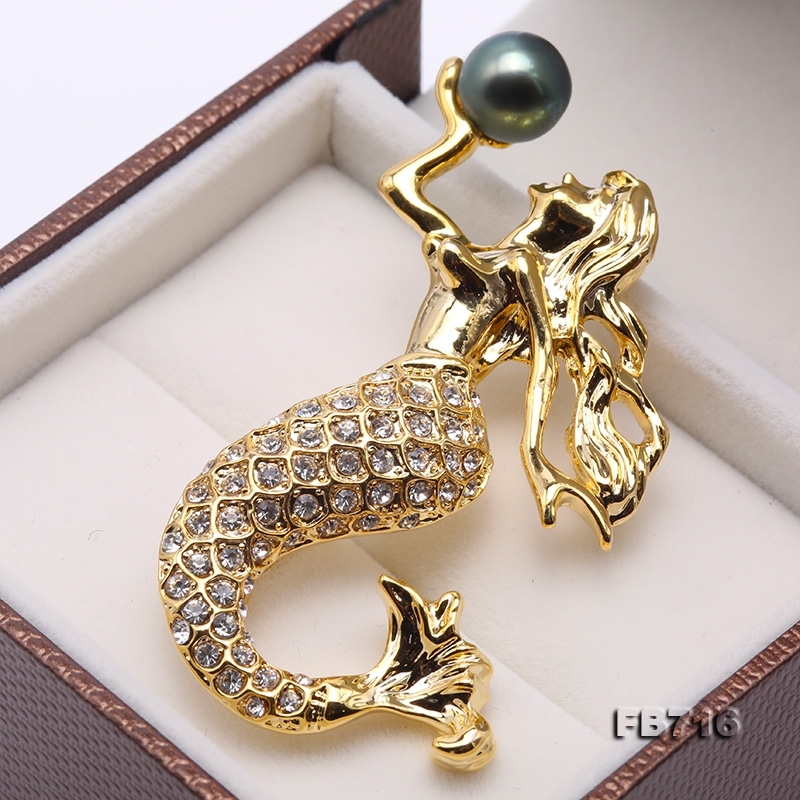 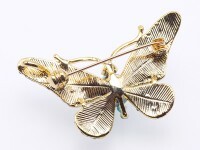 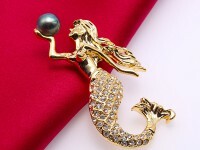 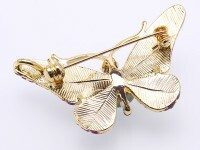 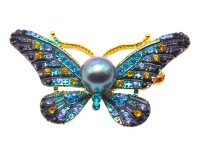 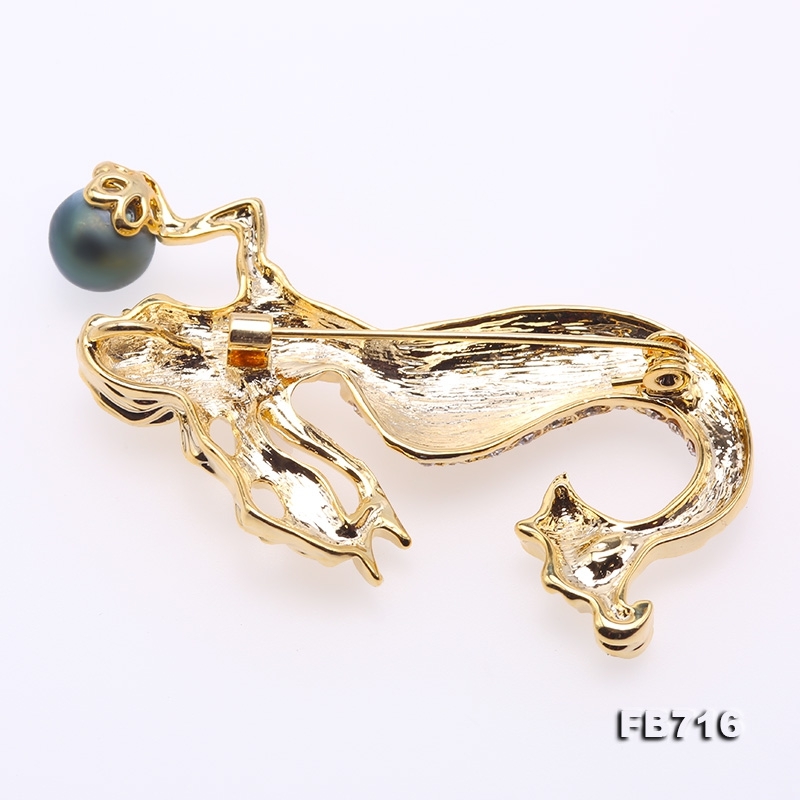 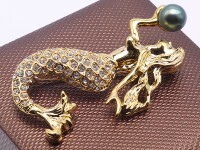 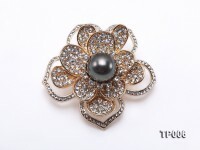 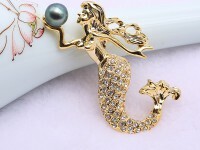 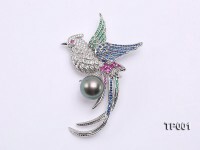 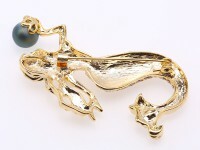 Gorgeous Tahitian pearl brooch with beautiful mermaid design. 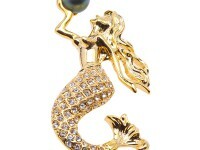 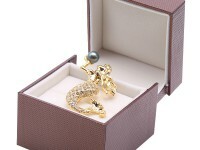 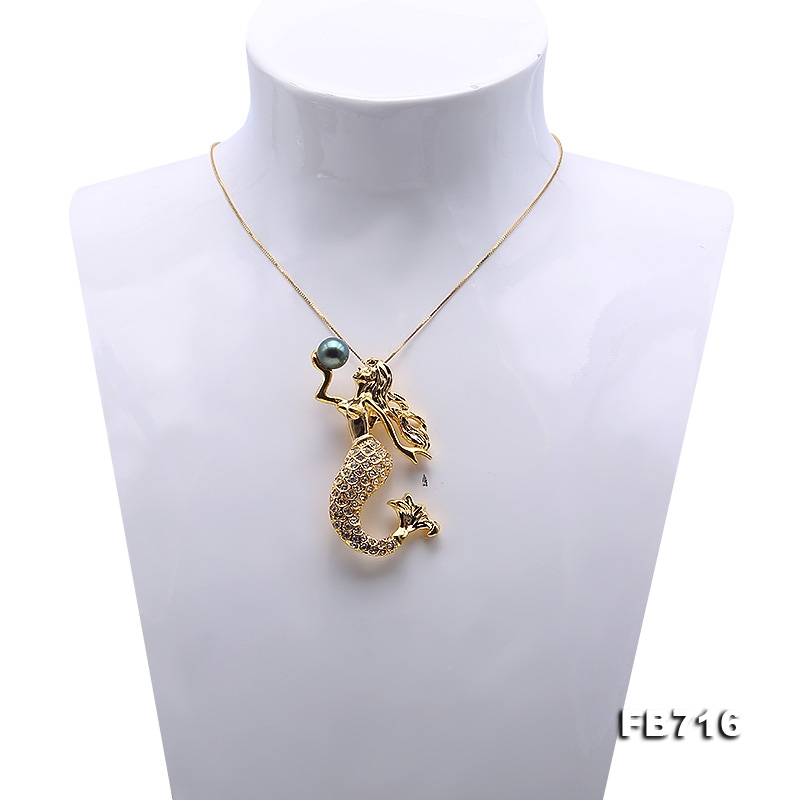 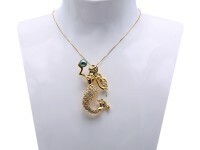 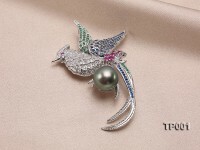 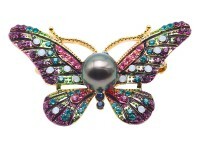 The mermaid is inlaid with sparkling zircons, with a 9mm peacock green Tahitian pearl in the hand. 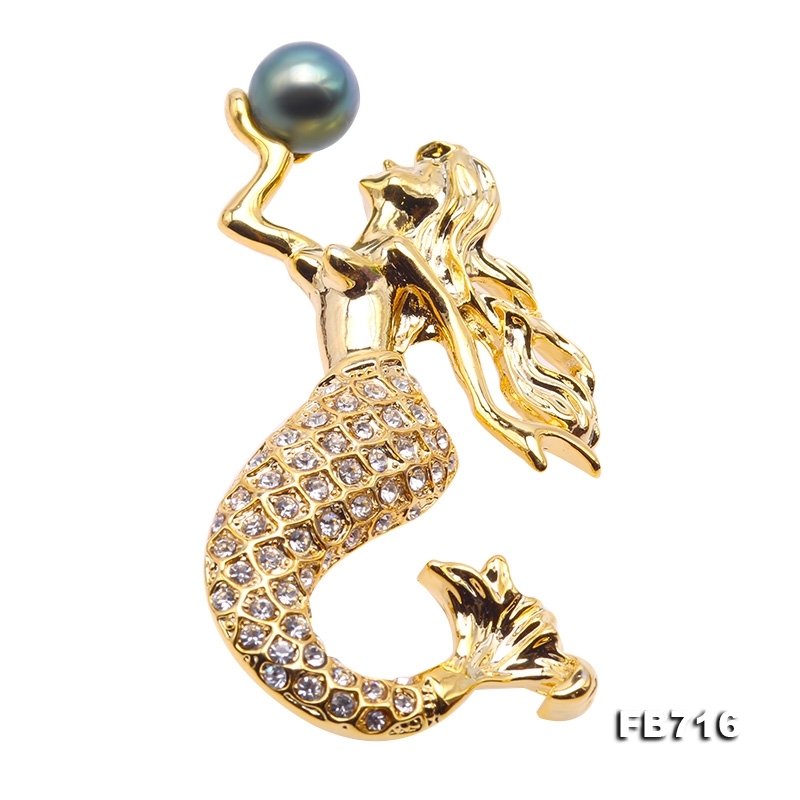 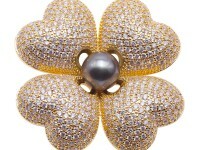 The high quality pearl has perfectly round shape, smooth skin, and strong lustre.